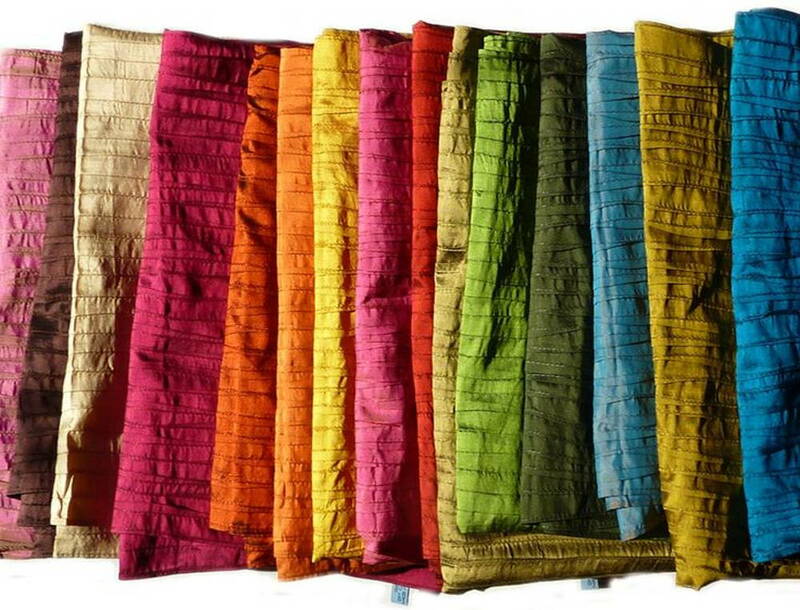 Colours – they can make your room feel bigger, smaller, calm, maddening, and just about anything in between. 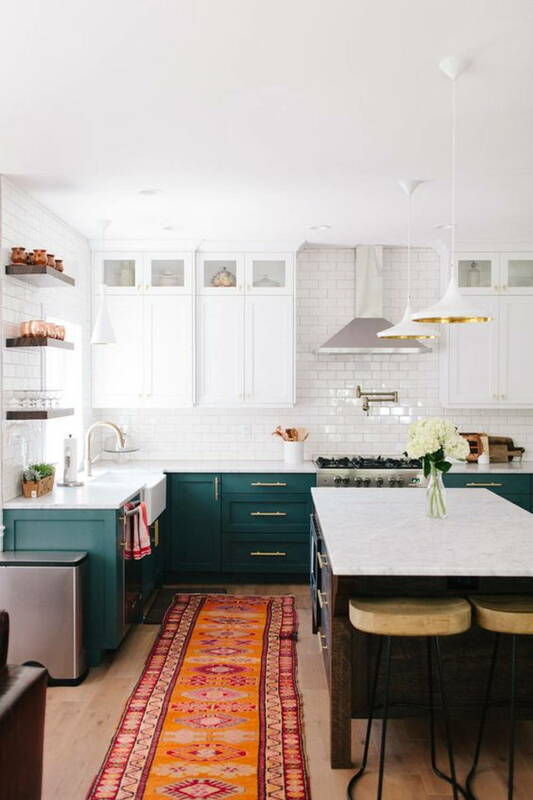 Besides the look and feel of a room, colours can also be an extension of the homeowner’s identity, seeing as it is such a big canvas that homeowners spend such large amounts of time in. 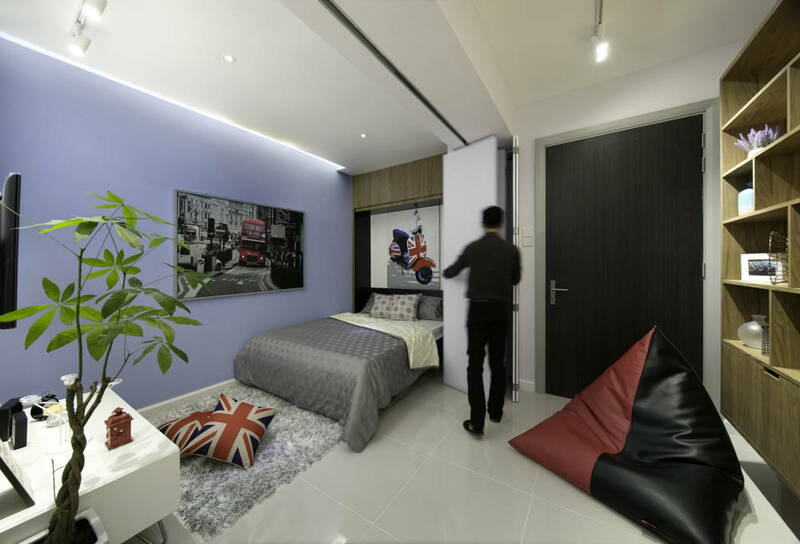 We spoke to Intan Mohktar, Director of interior design firm Designlogix and Director of Wow Studio, a complementary business that provides artwork, graphics, decorative furniture, and decorative lighting. She let us in on using colours to turn the home into one’s very own paradise and answered our questions on highly debated colour topics. Q: You believe in constructing an interior and using colours that accurately communicate a brand. How have you successfully done this in past designs? A: The Gamuda Land High Park is a good example of planning to a specific audience. We designed 3 types of units for 3 target audience groups. 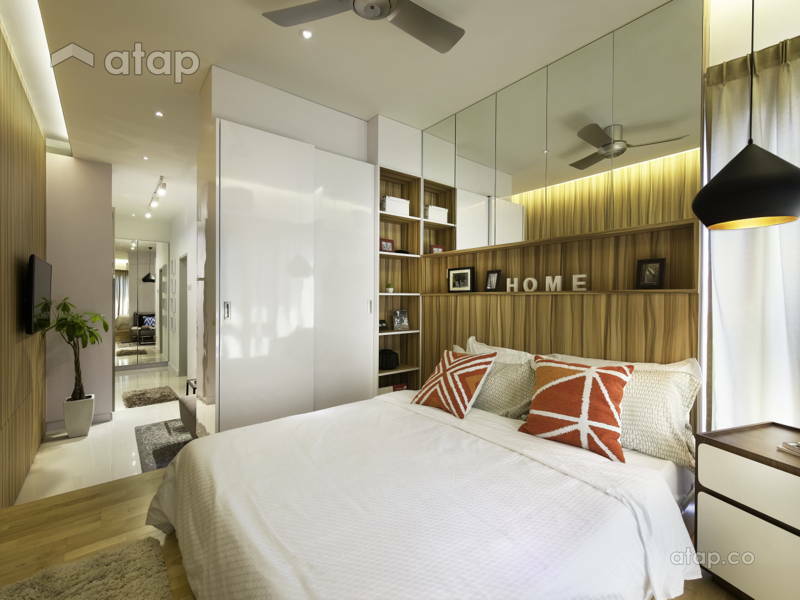 The 1st unit is the compact apartment meant for a young, single person or couple with active social lives and minimal possessions. 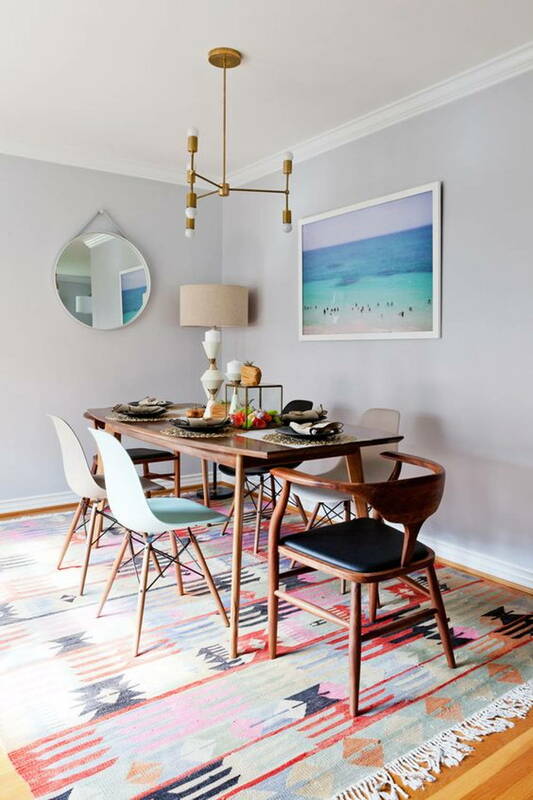 As the space is small, the colours here are fairly neutral and bright while colour punctuations via décor, artwork, and loose furniture enliven the space. Meanwhile, the variety of textures absorb or reflect light. The 2nd unit is the dual-key unit, catered to a slightly more mature single professional who is budget-conscious and wise about investments. This unit consists of 2 small apartments with a shared foyer. This unit can have an owner with a tenant next door or 2 siblings living in their separate units. 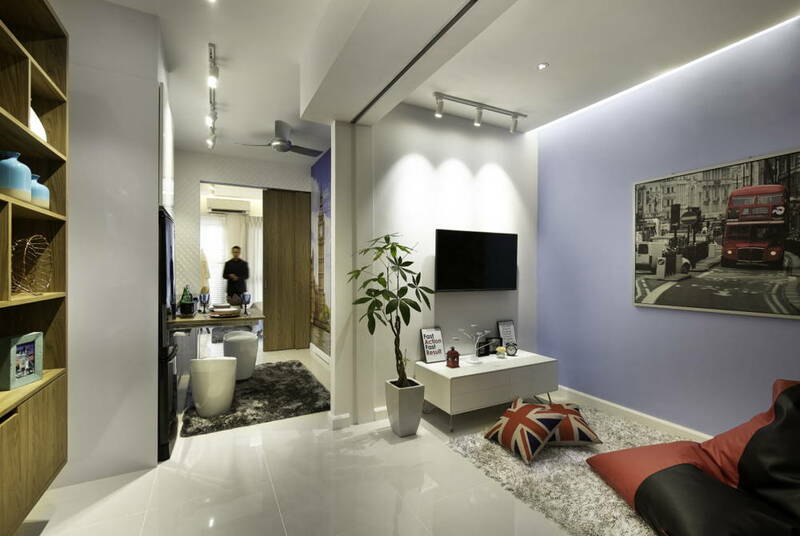 Both spaces need lighter colours to appear more spacious. To add elegance to the tight space, we introduced a lighter coloured timber like oak. Colours are kept very neutral to create a soothing oasis. Space was efficiently planned to ensure easy circulation in a tight space. 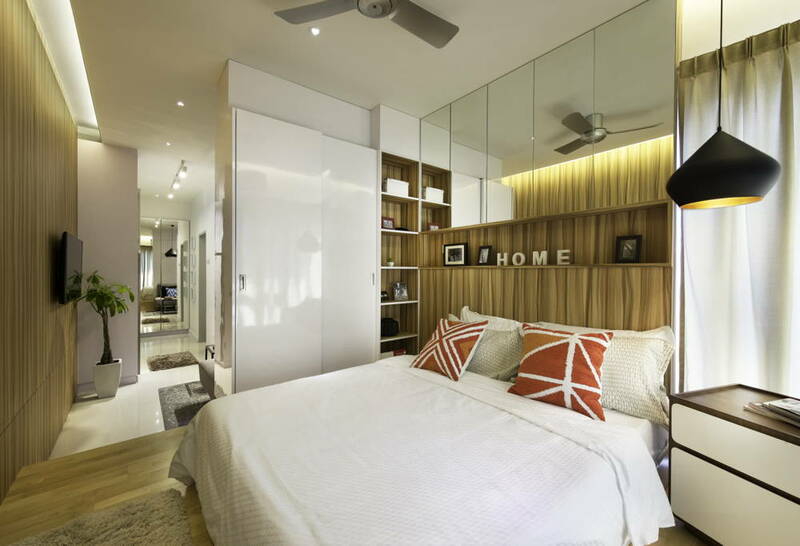 The 3rd unit is a duplex and we imagined an older couple who lived out of KL having this apartment as their weekend city home to be closer to their grandchildren. The lofty ceiling and tall windows flood the apartment with natural light, so it was essential to cut out the glare and warm the space. We did this with darker, luxurious floor-to-ceiling grey sheer curtains, enough to cut out the glare while providing warmth and a rustic style reminiscent of Manhattan city’s SoHo’s. We covered the largest wall with red clay face bricks, balancing it nicely against the off-white flooring and walls. We amped the rustic-chic charm with a tree-sliced dining table paired with some red Panton chairs, a bit of brass, some quirky “cloud” display units, old Indonesian artefacts, and of course, many glassed or mirrored surfaces. The space is sprinkled with warm coloured cushions, rugs, and art pieces. Q: What’s your advice to homeowners who don’t know their colour preferences? How can they choose a colour palette for their home? A: Colours in your personal space is a very private choice. It usually reflects homeowners’ personalities although I have come across some fairly mild mannered clients who chose bold, daring colours because they want to create a certain impression, only to end up feeling uncomfortable after a while. Be true to your personality, not to design “rules” or trends. One of the better indicators of colour preferences is the client’s wardrobe. Is there a favourite accent piece like a tie, blouse, jewellery or shoes? Even the most conservative black and white wardrobe has an accent piece – a small ring or a wrist watch – which hints at the owner’s personality. 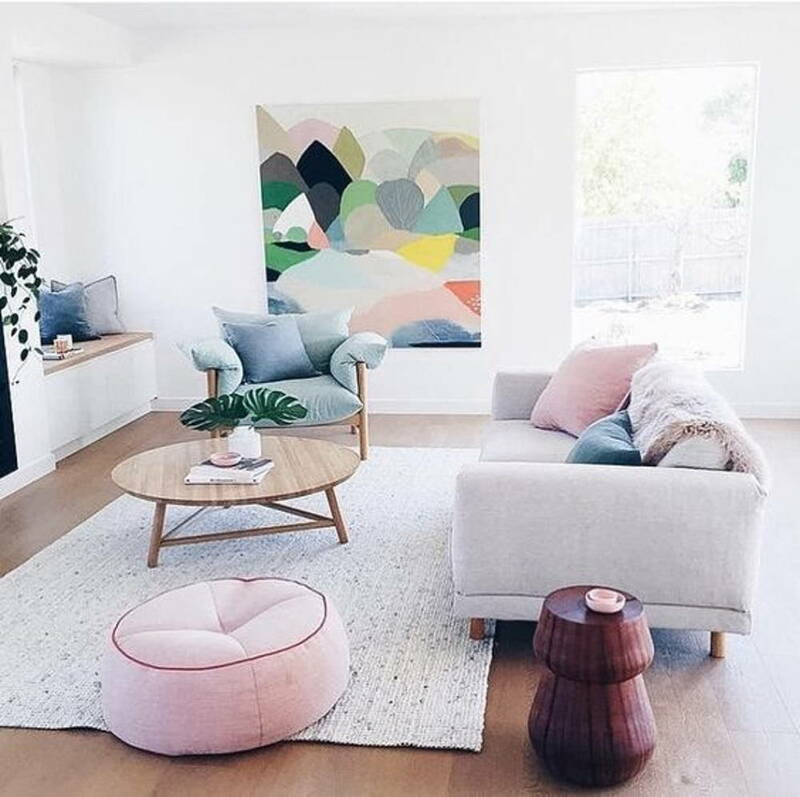 Muted, peaceful colours with a pastel tone such as dusky pink, teal, olive, dove grey, and taupe make for a calm space whilst white on white with accents of turquoise, tangerine, black and ochre makes a space more energetic and vibrant. 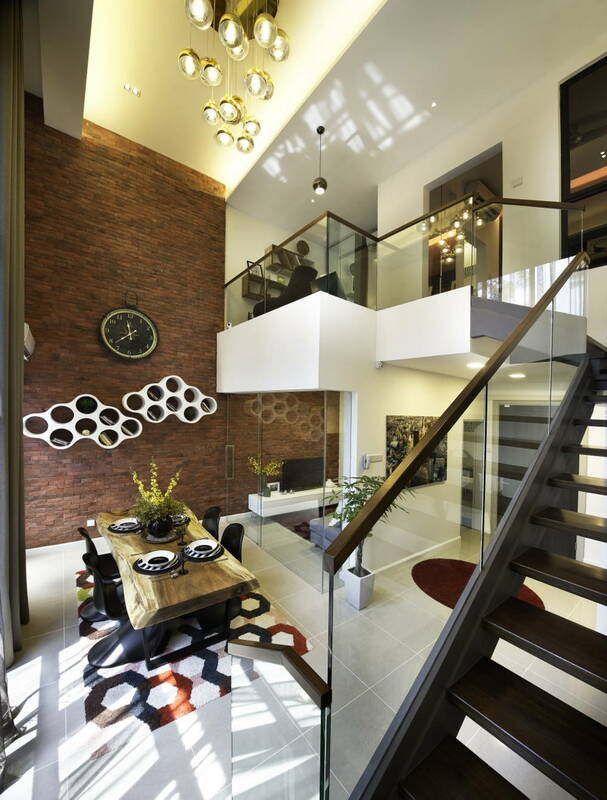 Q: Can a home have different (and even contrasting colours) in every room? If so, how do you keep them in sync despite looking so different? A: Sure. A younger person’s bedroom should be more playful. Keeping the room in sync with the rest of the house is easy if you pick a neutral colour that is dominant throughout the house – off white and white are best. Q: What is your advice for a homeowner who is drawn to a bright colour? How can he/she successfully use bright tones at home? 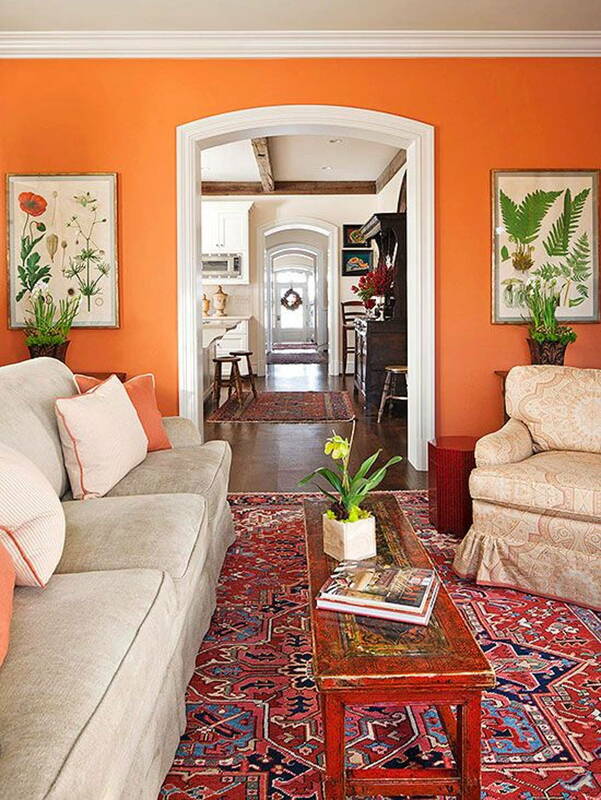 A: I once lived next to a couple who had orange living room walls. At night, from afar, it looked like the sun was setting in their living room – it was a very warm glow. To offset this warmth, everything else like their furniture, curtains, rugs, and even dining table setting were cream-coloured. They also had a lot of indoor plants flowing from their terrace, creating a lush tropical atmosphere. To add more cosiness to the setting, they only used table and stand lamps for lighting. Q: Is there a rule that you apply in terms of the maximum number of colours that you can use within a single room? A: I personally would not use more than 3 colour groups. A light green and an olive is considered one group (shades of the same colour) whilst a turquoise (blue family) and chartreuse (green family) are considered 2 groups. Q: How can homeowners select colours for the home that satisfies different personalities, gender, and age? A: The more “diplomatic route” is to go for a neutral palette for the shared spaces and spice up different parts of the house with the favourite colours of the personalities using the space most. For instance, the parents’ bedroom could have the shared favourite colour of the couple whilst the child can have his room in his brighter colour. But if the house is shared by a group of people of the same age (college students sharing a house), the more peaceful route is to have colourful furniture and soft furnishings in a very neutral coloured space. Q: Do you select furniture style and colour around a room’s wall, floor, and ceiling style and colour, or is it the other way around? A: The famous chicken or egg question. The furniture, once bought, is here to stay for a long time whilst the wall colour can be easily changed over a weekend. So I would personally say the colours of the walls are selected to enhance the furniture. The backdrop should be the background setting for the furniture, although in some cases, when the furniture are fairly monotone and lighter in colour, you may want a feature wall with either paint or wallpaper to bring the room to life. Do consider Nippon’s Momento or Jotun’s WallArt/Lady Design series, if you want a wall that makes a statement. Q: Besides whites and neutrals, what other colours do you think are the most timeless? 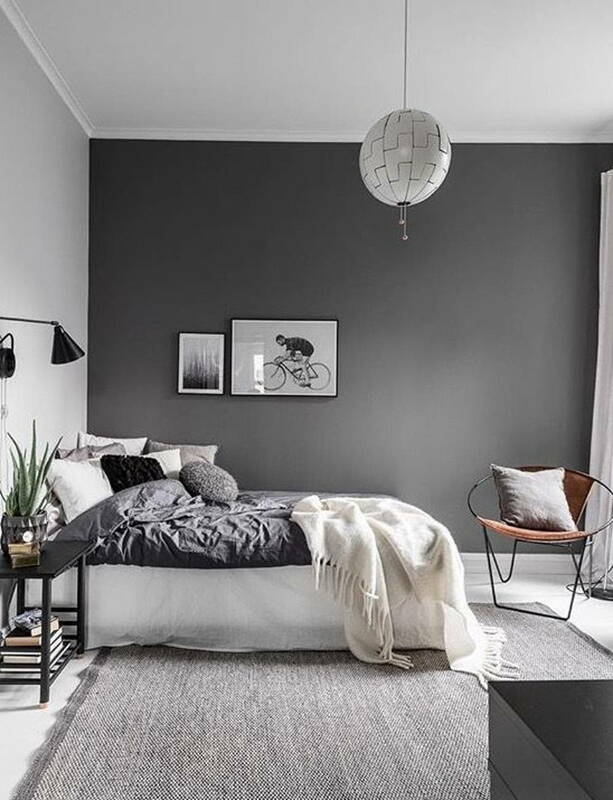 Grey is such a versatile colour because it comes with many undertones: red, purple, orange, and blue undertones give you a warmer grey whilst the ones with silver, green, and yellow undertones appear cooler. How to know the difference? Pair it with a solid sample of those colour to find the match. Q: How often should a homeowner refresh the colours in his/her home, and how can he/she do it without a huge budget? A: The million-dollar question. Cheaper solutions are found with paint or artwork embellishments. Freshen existing furniture with new cushion covers and rugs. Got vintage furniture? Give old cabinets new life with paint, cover the back with wallpaper, change the knobs, add mirrors to cabinets, etc. Decorate your house with plants in coloured pots. Q: In your opinion, what will be the most popular upcoming colours for 2018? A: The greys will remain as the background punctuated with gemstone colours like coral, cobalt, citrine, peridot, aquamarine, and tourmaline inspired by Mother Nature herself. 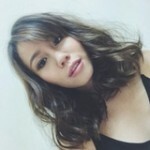 If you like Intan’s past designs, view DesignLogix’s portfolio and click on ‘Request Quote’ to get in touch with them! 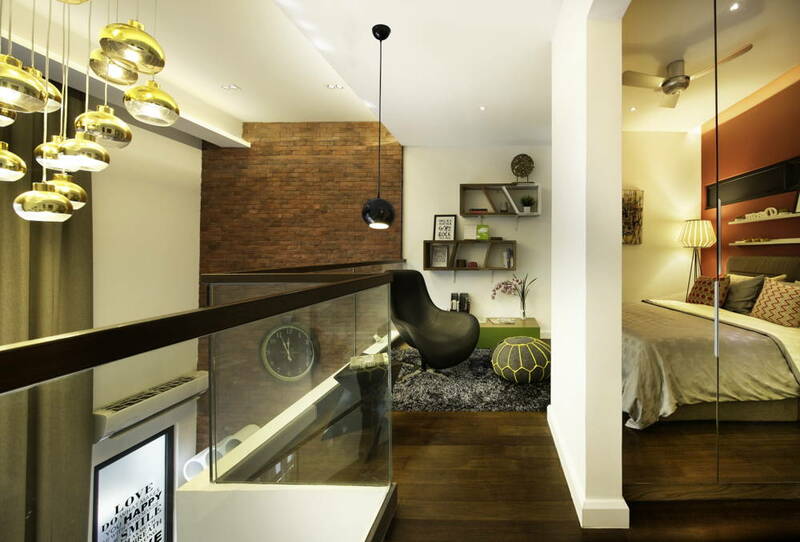 For more design inspiration, check out other local interior design portfolios.